We’re looking for a few enthusiastic girls to join our team! Prior robotics or engineering knowledge not required! 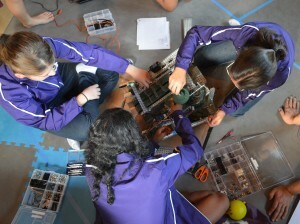 Renegade Robotics has immediate openings for 2 additional girls in grades 8-11 for our Menlo Park-based team. We are a welcoming, collaborative, enthusiastic, and dedicated group. Prior robotics or technical experience not required! Our team members learn “on the job” and as they progress in their knowledge, girls take more responsibility in areas that interest them, such as building, programming, making videos, and maintaining the website, among others. Joining the Renegades is a commitment. We meet twice a week during the school year, for about 3 hours on Friday afternoon and 4+ hours on Sunday. 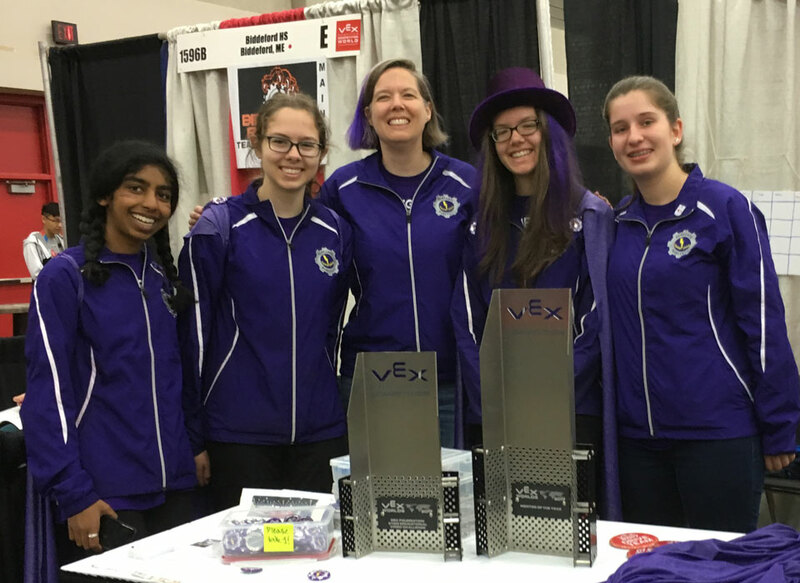 There is no “off-season”; the VEX calendar stretches from April, when the new game/challenge is announced, to the following April’s World Championships in Kentucky. When competitions are coming up, we usually add more hours wherever the majority of the girls can participate. We meet on school holidays for extra time if that’s what’s needed. We meet during the summer on a more ad-hoc basis depending on the team’s travel/camp/other activities; during the summer we typically meet for 4-hour (half-day) work sessions. We go to 5-6 competitions per year between September and February—stretching into April if we qualify for World Championships. Competitions are almost always on Saturdays, and occupy the entire day (usually from 7am check-in until 5 or 6pm departure). We go to tournaments around the greater Bay Area from San Jose to Tracy, and occasionally travel to a competition requiring an overnight stay (drive there Friday after school, drive home Saturday after competing). We expect parents to attend competitions. Parents are welcome—but not required—to assist the team in whatever ways they find helpful, anything from schedule planning and providing snacks to engineering, programming, and building expertise. We are an independent team, and are parent-funded. Participating families divide the year’s estimated budget equally, and contribute funds at the start of the year. In the past this has worked out to ~$1,100/family. New girls will need to purchase a team t-shirt and jacket as well. Should we travel to World Championships or other overnight locations, travel expenses are handled by each family individually at the time of the event. Still have questions? Email us: renegaderobotics@gmail.com.